There you are as a third-year flute student. ‘Did you pick this étude yourself or did your professor make you practice it?’, inquires the world-renowned flutist teaching a masterclass today. How nice it would be to be swallowed up by the ground right now. He is right though; my professor did indeed make me practice it. My professor, happily smiling in the auditorium. Great, now I feel properly miserable. What do I know about multiphonics? I’ve never done this on a flute before. Obviously, I have read about it and have done the exercises from the very tedious textbook, though this hasn’t exactly made me happy. In fact, rather insecure. I had only been taking lessons for four years when I began a major at the conservatoire. Several people told me I wouldn’t succeed. Though it made me even more determined and work harder, still, at this point I didn’t exactly feel great. It appears this is not meant for me. Extended techniques are hard, as well as ugly, contemporary music is even more unplayable and does anyone even want to hear it in the first place? 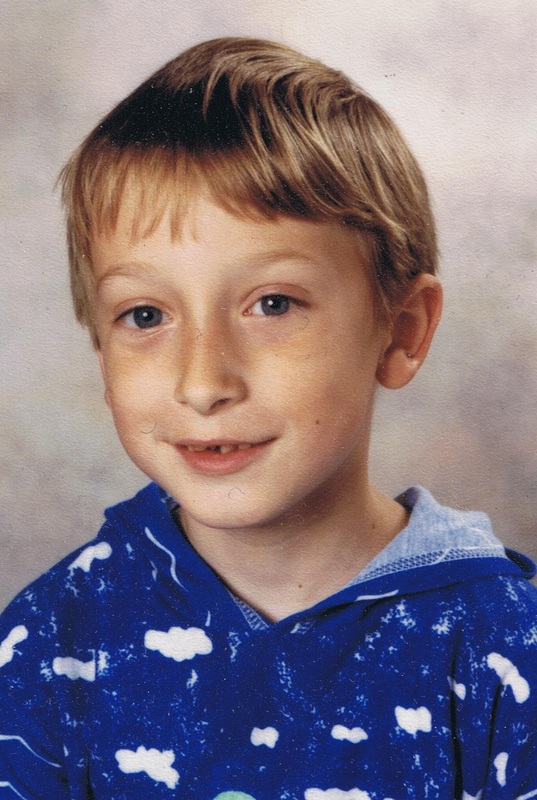 On reflection, as a child none of this worried me. I played the recorder for eleven years and was good at it. It came to me naturally, multiphonics, singing, playing and the rest. I loved it! Yet somehow it all seems to have become very serious now and everybody appears to have an opinion. What will they make of my bungled attempts? A year later and here I go again. A new masterclass on extended playing techniques, this time with a different celebrity. There we go, but hey, I don’t have much choice in the matter. However, I must admit that the book and the piece I was required to practice seemed much friendlier. Contrary to my expectations something interesting happened during the masterclass. I actually enjoyed it. Some of that childlike playfulness and ease returned. Nor did I feel judged when things didn’t go quite right. After all, it is meant for me and those pieces are really quite fun. From that moment on I wanted to explore the various techniques. I graduated with, among others, a piece by Stockhausen. After completing my course, I took up monthly lessons with the aforementioned celebrity. However, I didn’t have much time to study. After my course I needed to earn money so I started to work full-time. Whatever spare time I did have I invested in studying extended playing techniques. To my surprise I discovered that studying these techniques had advantages. I noticed it especially in my sound. Each time I practiced these different techniques, even for just 15 minutes, I noticed changes in my playing. Everything felt more effortless. My sound was fuller, I had better breath control, felt I could move muscles I didn’t know I had. What really gave me a kick was the feeling of having complete control over the flute. Not just the flute, my whole body in fact. I felt more liberated playing the flute and could master any situation. During my concerts I hardly ever chose to play contemporary music. I tended to go for more traditional pieces. Yet I kept working on the techniques. More people need to experience this! I started to incorporate the techniques into my lessons. Eventually it became a passion. After a few years I decided to go for a Masters in flute. The research subject was not exactly difficult. The objective: to discover in what way I could make extended playing techniques accessible to flutists of all levels, composers and the people listening. A dissertation ensued and I started developing my website Flute Colors. Primarily to share my knowledge in an accessible way via instructional videos and information. The book Flute Colors came naturally after developing a few exercises for the website. During the summer vacation I continued to develop these exercises and before I knew it I had 112. Exercises with which I can convey my passion and through which I hope every flutist can overcome their own challenges and experience that delightful, nearly indescribable feeling of freedom whilst making music. 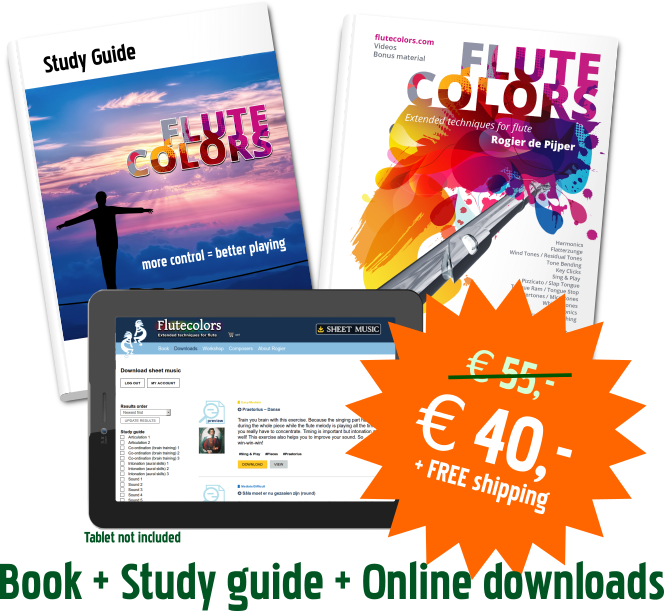 The website Flute Colors contains all information about contemporary techniques for flute. Flute Colors encourages players to use contemporary techniques, because they improve your regular playing techniques. Curious if using contemporary techniques is for you? Get in full control of your instrument with Flute Colors. Buy the bundle and save € 15!